Spending money on K Cups is never an easy thing to do. And when you go through coffee like it’s water, it adds up fast. That's why we're going to help you find the cheapest k cups today! According to Business Insider, the average person spends around $800 a year on k cups, and if you're not buying k-cups in bulk or finding k cups cheap, you can hit that number quickly. That's a big chunk of change to spend on anything, let alone your morning (afternoon and for some of us evening) cups of joe! And don’t even get me started on those mornings when you wake up and realize your better half finished the last K Cup, leaving you to fend for the kids uncaffeinated until you can get to the store. Today, we're going to show you how to get the cheapest Keurig K Cups online, find the best places to get great deals on K Cups and which stores have the best K Cup prices. 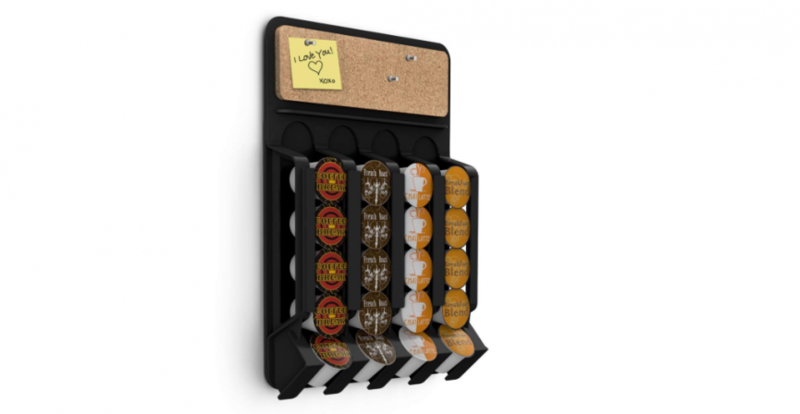 This way you can save big on that coffee bill and rest easy knowing that you’ve always got a stash of K Cups. For those of you that want to save even more, we'll be breaking down the best place to buy k cups in bulk in-store and online so for those of you that love to stock up, this post will help too! The best part? You can follow these tips every time you order online to save! Before we get started, here are the best K Cup prices found on Amazon. These are some of the best deals you'll find online, bar none! We'll update this weekly so it's always up to date. We'll be covering Amazon Subscribe and Save in more detail below but you should know that if you do opt for Subscribe and Save you can save up to $2 per box which can make for even more savings. The best part is you can cancel the subscription once your order ships to get in on the savings. 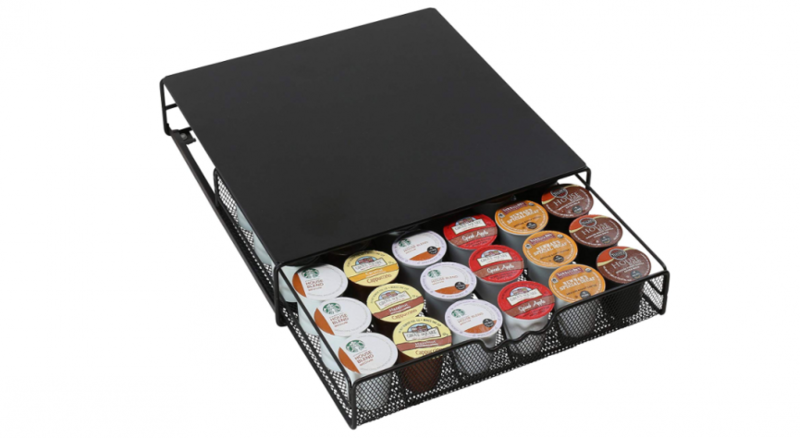 When looking to save on K Cups one of the best ways to save is buying cheap K Cups in bulk. For this you have three options for buying in bulk Amazon, Sam's Club and Costco. If you're someone with either a Sam's Club or Costco card, check the prices and compare the bulk prices on 100 count boxes to those on Amazon, the best part is a bunch of the bulk prices are available online now. You'll be surprised sometimes the best prices of bulk K Cups can be found on Amazon. Check the prices out above and toggle over to the 100 count k cups on Amazon to compare with bulk retailers. "Please show me how to save money on Keurig K-Cups!" Step number one is simple, stop buying K Cups from stores! That's right, no more buying K-Cups at CVS or Walgreens. Most of the products sold at these stores come with higher markups than grocery stores and K Cups are near the top of that list. K-Cup prices are so much higher at pharmacies than what you’ll find online. If you aren't buying K Cups from the store, then where do you buy them from? Do you go full hippy, buy a Ekobrew reusable K Cup Filter and go regular ground coffee bags instead? But we're talking about buying actual K Cups for our machine so what's the answer!? And when you buy them in bulk, by the pod, you’re getting the most bang for your buck! The best K Cup Deals are usually found online. While you can find some sweet in-store K Cup deals, when you buy in bulk and through our online deals, in-store K Cup Deals just can't compete. 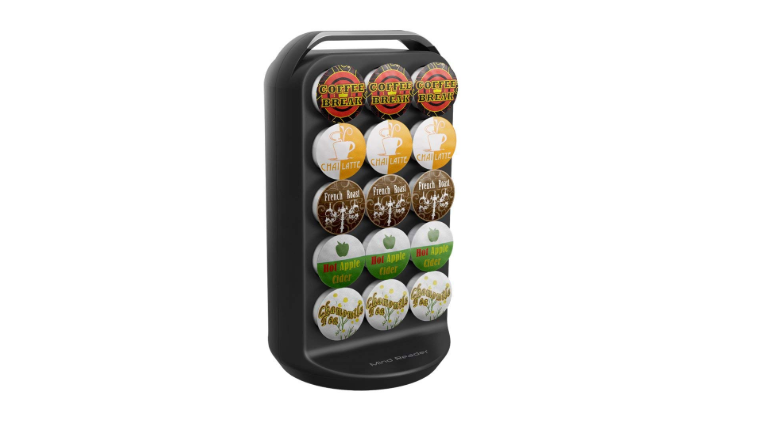 This can help you rack up the savings on your K cups. No longer will we be forced to pay an arm and a leg for K Cups by waiting until we're out and making a quick trip to CVS where the prices are outrageous. The best thing to do is order K Cups online in bulk and have them shipped right to your door. It's really awesome how much you can save over the year when you go with buying the cheapest k cups online instead of buying them from the stores. What's A Good Deal On K Cups? Before we get into getting the best K Cup Deals, it's important to figure out what makes a good k cup deal and a good measure is the price per pod. The lower the price per pod, the sweeter the deal. We're usually shooting for getting the cheapest k cups whenever we're sharing deals so instead of thinking about price per box lets start thinking about price per K Cup. If you're getting a deal that works out to around under 60 cents per K Cup it’s a good deal. So before we get started consider thinking about what you're paying per K Cup instead of per box. It's an awesome Amazon subscription program that offers deep discounted K Cups! With Amazon Subscribe and Save you can score up to 15% off K Cups each time you order and if you're a Prime Shopper you'll get them on your doorstep the very next day! For those that don't like to wait like me, this is the best thing EVER! You can cancel your subscription once your order ships! That's right, score 5% off your order right off the bat (and up to 15% depending on if you're buying K-Cups in bulk or not) and then cancel your subscription once your order ships! It's not hard to see why so many coffee lovers are buying bulk K Cups these days, it's such an easy way to save money! Saving 15% off your K Cup bulk order makes for huge savings! Find a good deal on K Cups with Subscribe and Save. Click 'Subscribe and Save' for 5% Off (or 15% Off) Your K Cups. Cancel your subscription when your order ships. That's it, it's such a sweet way to save! Just set up whichever shipment you prefer and you're all set! It’s that easy to get 5-15% off your k cup order that you won't be able to get from other stores. Awesome Prices - While other stores like Staples, Target and Walmart have great k cup deals too, Amazon has by far the best prices throughout the year on K Cups. It's because they have the most merchants that are all competing to be the cheapest K Cups online! Fastest Delivery - If you're an Amazon Prime Shopper like me, being able to get free two day delivery makes it by far the fastest delivery for cheap K Cups online! To me that makes it a no brainer, once I see I’m close to running out of coffee, I place another order. Subscribe and Save Discounts - Scoring 5% additional off of my K Cups makes for even more savings that other retailers just can’t compete with. On top of that, if you're buying K Cups in bulk you can actually score up to 15% off your K Cups order for awesome savings. Free 365 Day Returns - Sometimes ordering online mistakes are made, and the fact that Amazon has a hassle free return policy that's free makes things easy. With Amazon get no hassle 365 days to return k cup orders you aren't happy with. Use a Reusable K Cup Filter: With the Ekobrew Reusable Keurig Filter you can buy your favorite ground coffee and have the same exact Keurig experience you usually have, with regular coffee bags. This actually works out as the best K Cup price per pod overall. Register your Keurig Online: Take a second to register your Keurig online and you'll actually get a coupon for two free boxes of K Cups from Keurig. Just enter the serial number of your Keurig Machine and you'll get a 10% off coupon to save on K Cups. Clearance & Expired K Cups: When you do find cheap KCups in-store one of the best K Cup deals to look out for are clearance K Cups and expired K Cups. These are usually the best K Cup Deals offered at grocery stores and pharmacies you'll want to keep an eye out for. 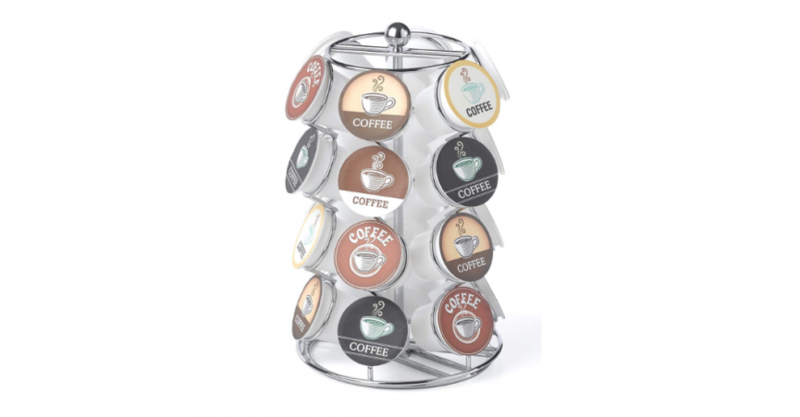 Your turn: What's the best price you've gotten on K Cups and where did you order from? We'd love to hear how much you save on K Cups today in the comments below!